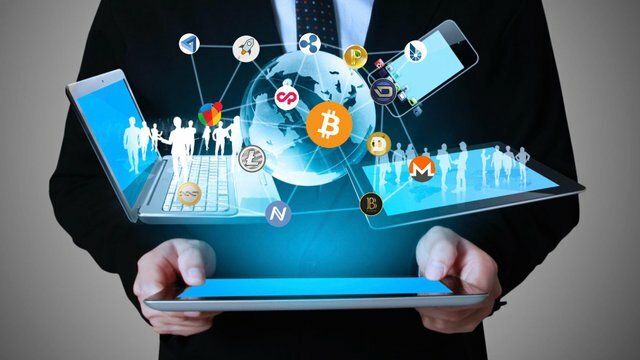 Ways To Earn Money With Cryptocurrency! The other day, I was having a discussion about cryptocurrencies and making money online with my friend. He has more of a traditional mindset and thinks that cryptocurrencies are a risky, and you can't really earn money on the internet unless you do some dark business. Of course, I had to prove him wrong! I am an absolute crypto Enthusiast and nothing excites me more than discussing crypto topics. When researching about this topic, I stumbled upon Steemit! I immediately thought, what an amazing idea for a website - a combination of social media and cryptocurrency. 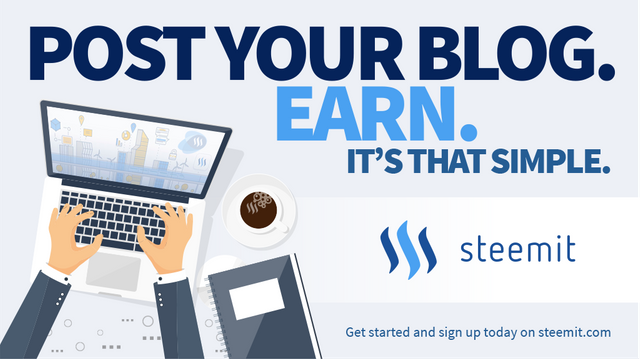 Of course, I don't have to tell anyone here how big the opportunities are with steemit.. you can really earn money online by posting articles, as long as they're high-quality and you post regularly! Mining is the most traditional way to earn cryptocurrencies. Although a lot of miners have become unprofitable with the increasing difficulty rates, some are still worth your investment. The Wolf V1 offers the most speed, while Antminers by bitmain are one of the most popular models currently. They make about $50-$120 per month, depending on the model you choose and on your electricity cost. This method doesn't make that much money, but it's extremely easy: you can earn btc for fulfilling simple tasks on these websites. If you hold some BTC, you can make money by lending them to other traders. Of course the benefits for you depend on your amount of btc, the duration of the lending etc. But it can be a very profitable option! Thanks for sharing my friend, I did not know options 3 and 4. I'm going to investigate a little. And thanks to steemit that not only allows me to make money, but also that I can read post like yours, to win more! if you are looking for smart ways to earn more cryptocurrency check out bounty hunting. The best platform to find cryptocurrency bounties is Bounty0x. Good post! You can also get coins by staking (Im saying thats different to mining) as you dont need special hardware, just put your coins in to a core wallet and 'unlock for staking' and see the coins roll in. Another option to hash/scrypt mining is researching, Gridcoin uses that, you dedicate your ordinary computer to researching disease cures and you get crypto for it. Another thing you can do is loan out your spare computer hard drive space, coins like Sia pay you for that. Even more fun is SolarCoin where you get paid for having solar panels, every 1MWh you make = 1SLR. Crypto sure is an amazing place, so many cool ways to earn some. I'd like to call your attention to this thread that says the KNC Titan 2,0 miner does not exist. And they claim the website that is selling these to be a SCAM. So be carfull If you decide to buy a miner make sure you do your homework to avoid beeing scammed. Thanks for letting me know - I wasn't aware of that! I will edit the article so that no one falls for this! Np! thx for editing the post. Trading and mining would be the most profitable, but you need knowledge and experience to be able to trade successfully. 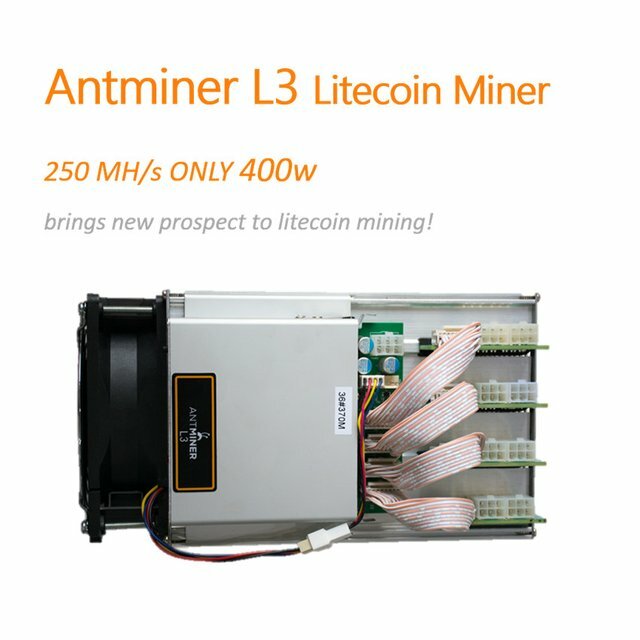 And for the miners, the Antminer L3 by bitmain makes about $7 in revenue per day, while the Titan makes $40-60 a day. Of course the Wolf V1 has the most hashing power, it makes $130 a day but it's much more expensive (over €6000), so your choice depends on your budget. 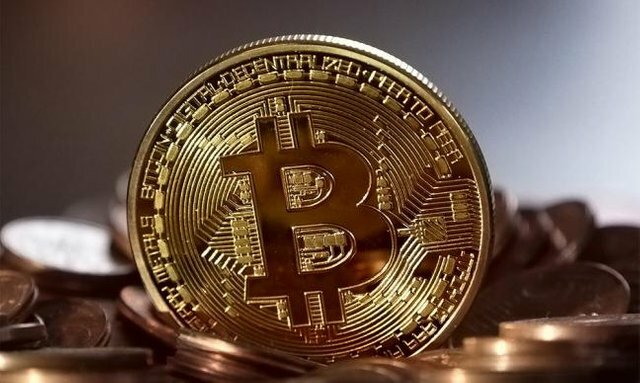 Bitcoin lending can be quite profitable, but only if you own relatively large quantities of btc and don't need them available for trading. And completing tasks to earn btc only makes little money, but of course it's the least complex as well. The Knc-miner website might be a Scam. Hats off, very good and accurate answer. Adding you to my follow list. Another great aspect of cryptocurrency is that if affords privacy to those using it, so you can use it to have your spouse whacked and it can't be traced back to you. Theoretically, of course. Thank you, that's awesome. Followed! I'd recommend avoiding any cloud mining service. I don't know of one that didn't turn out to be a scam or a big loss to those who invested in using it. Well Done on doing so well on your first post. Hello! Great post! I also believe a lot in cryptocurrencies, but I only trade, because about mining I haven't got yet the complete idea. For the moment I guess the most profitable cryptocurrencies which have all for succeding are: Bitcoin, Ethereum, Steemit, Gnosis & BAT (new ICO on 31st May). Thanks and please, don't forget to follow me on steemit! I am looking at BitClubNetwork. If you don't mind, please can you share some information... what package did you get and what is the average monthly return? My only concern is central banks manipulating cryptocurrencies thought ETFs and paper derivatives. Central banks manipulate everything else. What exactly is bitcoin mining and how does one learn how to mine? May I know where to lend bitcoins online? thanks. Thanks for the post. I never had thought about bitcoin lending. wait! where is number 2? Need more people like you on this site. Thanks for the info. Mining Crypto currency From your laptop using NVDIA Card or Amd card is very easy and profitable with using Nicehash Miner Software and MinerGate and EOBOT Software. If you want increase your investment 10 to 100 times you must invest in new Cryptocurrency Like ADSCASH, PUTINCOIN and New Cryptocurrency Bank ICO POLIBIUS Bank all very reliable Company. How about cloud mining such as hash flare ore genesis? Anyone tried and able to hit the ROI? I am new to cryptocurrency and still learning as much as possible. I love steemit so far and hope it takes off!!! Thank you this is very informative for a new comer to CryptoCurrency as myself. This is quite a useful post, although I will disagree on the mining part. I will probably cover about my thoughts on mining and why I disagree in my blog soon. Thanks for posting this! The websites look like a great deal. I researched some of the mining rigs but was overwhelmed with the prospect of the time to recoup costs, the difficulty of coins mined, and power concerns. Looked into online miners(who seem to work much like server hosts) with the idea that they offshore equipment and get cheap electricity costs. DO you have any thoughts on these, or do you think it would be cheaper to just buy now and lend out/let appreciate? There are also bitcoin-based brokers where you can make more bitcoin by executing profitable trades on various stocks, currency-pairs, or precious metals. I like to use 1Broker for its relatively small commission and leverage fees on trades. Great article and very informative, thanks. Awesome post very informative. I thought the main ways to make money in crypto was to either mine it or trade it. Nice to read about a few other ways. Tks for sharing your knowledge :D I am new about this subject, so its always very nice to have good articles to read. Thank you. I also knew this forum today and I am finding guide for this. Can you help me? I've been reading and studying Cryptocurrency for the last 3 weeks or so. In other words, I'm new to the scene. I've tried almost every type of Mining program for Bitcoin, Ethereum, Litecoin, Darkcoin, and none of them really pay much over $0.03 dollars a day. It seems like any type of mining requires some type of investment upfront in order for it to be worthwhile. Even then, the difficulty rating just increases and renders the new mining hardware useless. I've tried playing games for currency, not very profitable. There's faucets that spew out currency once a day, or hour, or week, but they also don't pay very much. There's a program called Storj Space that you can lease your free hard drive space for Cryptocoins. I tried that for a week or so, but it seems like there really isn't much of a market for it right now. After all me weeks of digging, I've finally stumbled upon Steemit. I'm hoping that all of the research and testing will pay off with this one. Nice post! i got an idea to earn bitcoin! Thanks! Great writeup bro. Keep it up. I never thought of #4....where do you do that? It's opening alot of doors for everyone. Lending is my absolute favorite among these. This is truly passive income and more than replaces the interest we used to get for our savings in the bank. Even if you have only a fraction of a Bitcoin to loan. My other preferred option is DASH Masternode Shares, though that does require a investment of 25 DASH up front. Good information! Watch out lending BTC though they could scam you. You can also make free money off BTC by claiming Byteball and Stellar Lumens. how does bitcoin lending work ? like is there a third party who works as a "bank" ? what if the person borrowing the BTC deside not to pay you back? if i like the answer to 1 and 2, where can i lend out my BTC ? Thanks for sharing such a handy and informative post.It is very useful for New Steemians. You can also earn crypto on http://bitrad.io/?ref=36232. Its a fairly new website where you listen to music and earn BRO which obviously you can then exchance for the move popular crypto currencies. Thanks for the info, there are numerous other ways to earn cryptocurrency but you got to have the faith and patience. I would also look into Crowdholding. They are a co-creation platform. You log in for free, respond to tasks with feedback and receive cryptocurrencies such as (SmartCash, DeepOnion and many others. So, Ads4BTC, at first glance isn't very good. I watched 5 ads, and got 0.00000188 BTC which is about 0.003525 USD as of this writing.